Forest Department KPK Jobs 2018 is listed below in our site. 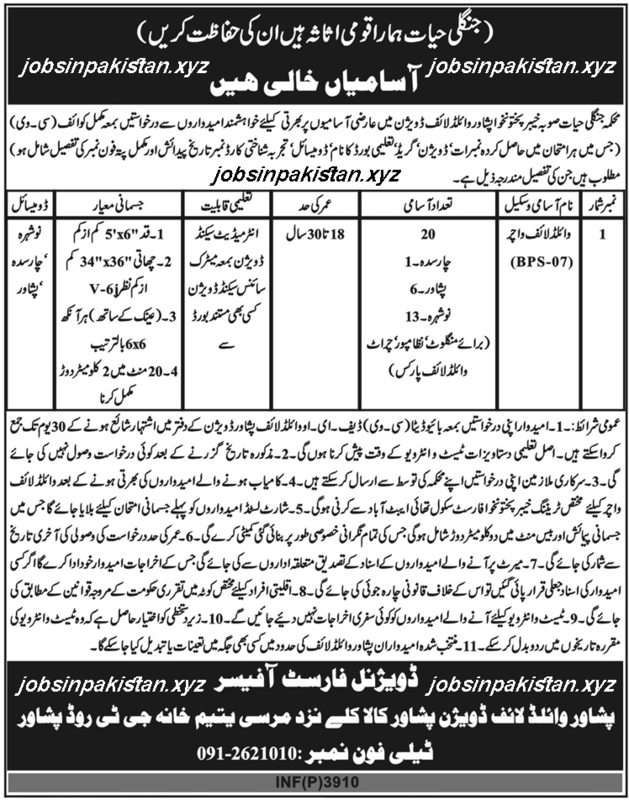 The advertisement for Forest Department KPK Jobs 2018 has come on newspaper of 8 October 2018. The last date for submitting of application form for Forest Department KPK Jobs 2018 is 8 November 2018. After last date the applications forms not be accepted for Jobs in Forest Department KPK. Selected candidates for Forest Department KPK Jobs 2018 will be posted anywhere in the Peshawar. Government of the Khyber Pakhtunkhwa required the applications for following jobs.